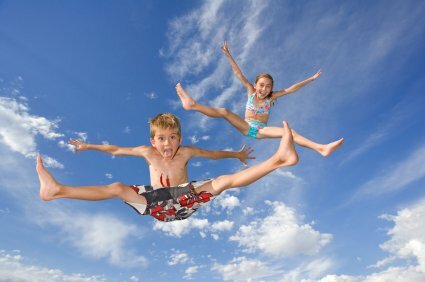 Vuly trampolines have always been very distinguishable. Their trademark curved enclosure netting is bound to turn a few heads. But they didn’t stop here. 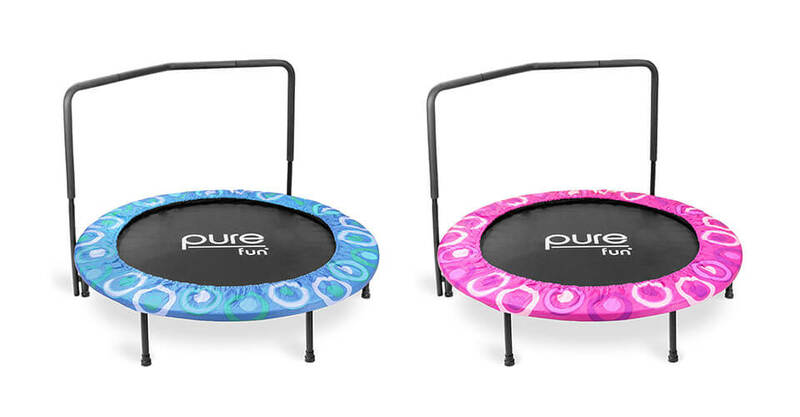 The trampoline comes with a twist – reversible safety pads! One side is blue, while the other is a nice, creamy color. You can turn it whenever you want to freshen up the look. Truly innovative and amazing. Plus, the mat is also adorned with nice pictures which are actually a game on its own. The netting is pure joy. It is very taut and there is no way you could impact the springs or enclosure poles, let alone the floor. The net is sewn so that the springs are out of the bouncing are, for extra safety. It is made from sturdy polyethylene. The frame is reinforced with two steel rings that connect the legs together. These rings add more structural strength and stability than other design choices. There are 7 legs in total, which is great for a 12ft. 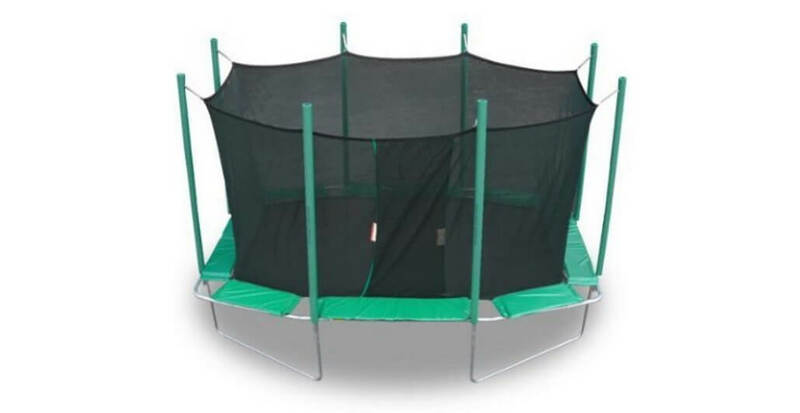 trampoline. 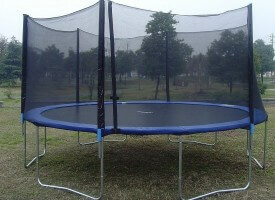 As is standard in the world of trampolines, the whole structure is galvanized to ward off rust. There is no powder coating that is present on more expensive models. The mat appears to be quality made, with dense stitching to improve reliability. Instead of opting for a boring black mat, the designers chose to use up the space to create a little game called VulyHexVex. The reversible safety pad provides the same amount of protection on either side. The pad is weatherproofed and made of Bisonyl. The enclosure does most of the work so we don’t expect the pads to suffer too much impact force – it’s mostly there as back-up. Its weight limit of 240lbs. looks very conservative when taking the build quality into account, and it likely is. 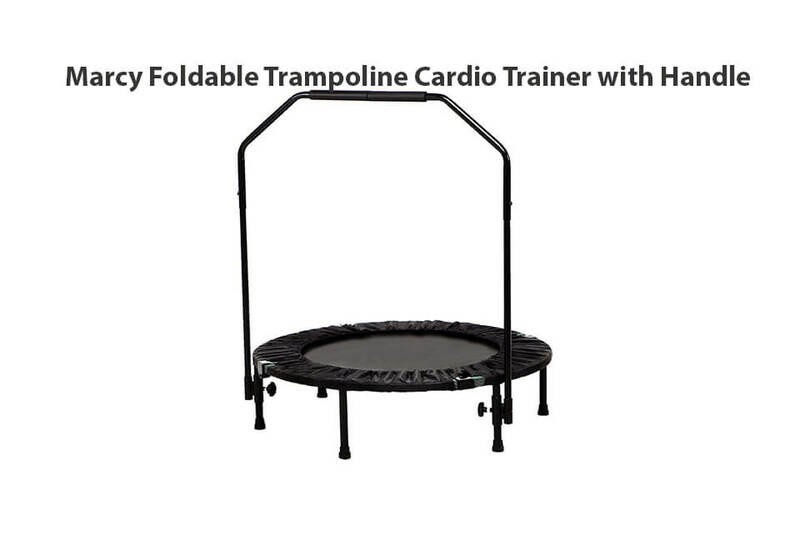 However, it is marketed primarily as a children’s trampoline so it is not much of a concern (and 240lbs. is enough for most adults anyway). Still, it’s good to keep in mind and you shouldn’t go over the limit. Now, this is where the fun starts. 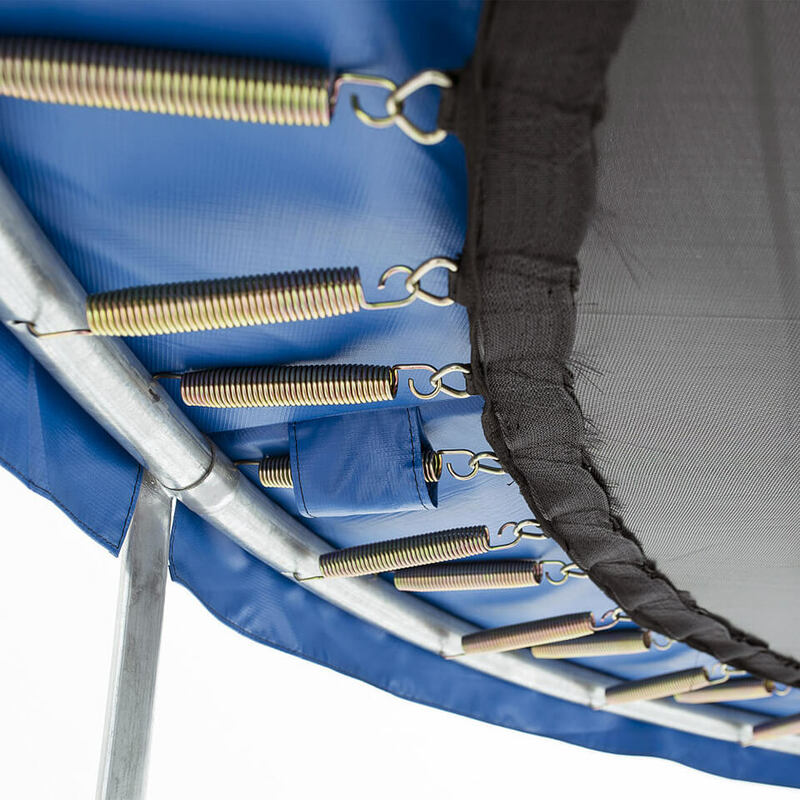 The very rigid frame of Vuly ensures the forces don’t get wasted by rocking the trampoline back and forth; they are instead directed back to improve the bounce. And improve they do. It’s extremely good and feels effortless. It’s very easy to bounce high. 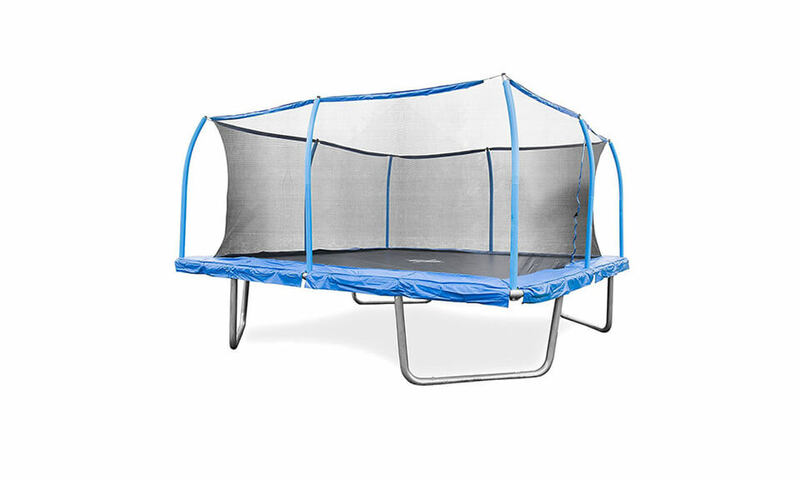 It’s not quite as good as with its most expensive cousin, the Vuly Thunder (obviously), but is one of the best trampolines in its category. Its 72 tapered coil springs are responsible for the fun explosion. 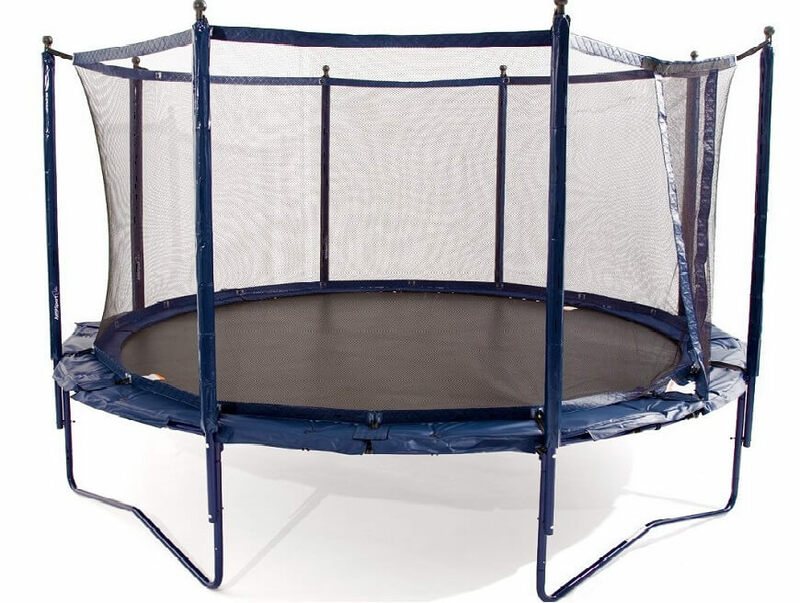 They are positioned a tad differently than in the other trampolines (over-and-under the frame as opposed to in-plane) which creates a staggered effect when bouncing. 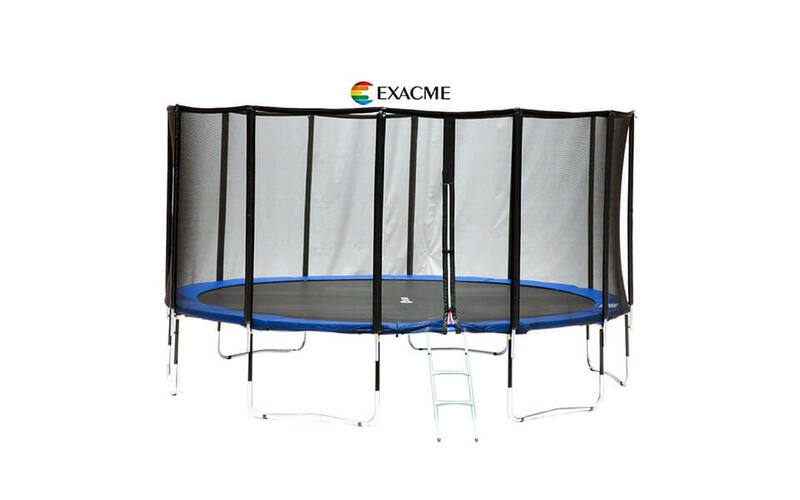 The assembly of this trampoline is very simple. There are no nuts and bolts for you to waste your time on. Everything is Lego-style, modular and fairly intuitive. There are no other bundled games or a ladder, except from the aforementioned VulyHexVex. Pads come with a 1-year warranty, springs, safety net and mat are safe for 5 years and the frame is covered for six years. Not bad. It’s easy and simple to make a warranty claim via a form on Vuly USA’s website. A few photos are all you need. We liked that a lot. 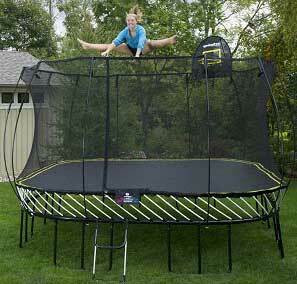 The Vuly Lite is an excellent window into the world of top quality trampolines. 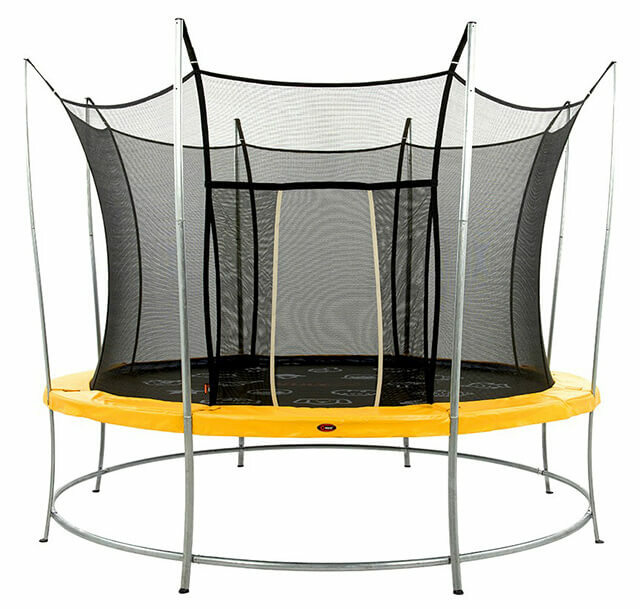 While not the cream of the crop, it has many of the high-end features for a comparatively low price, as those trampolines cost thousands of dollars. 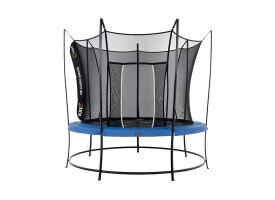 However, compared to the usual trampolines, Vuly Lite is a good half to double the price. Still, we believe it is a good buy. 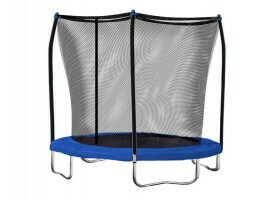 It is a high quality product with a generous warranty and is a lot of fun to use. It will definitely give you hours and hours of quality fun and exercise. Its fresh design is an eye-catcher and convenient assembly is an added bonus. 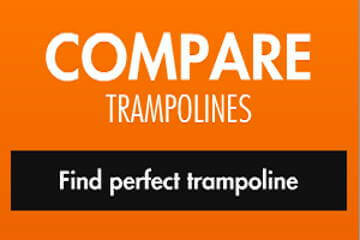 We recommend this trampoline if you’re looking for a high-quality product. If you want something better, there are always alternatives, likes Vuly Thunder or Vuly2. 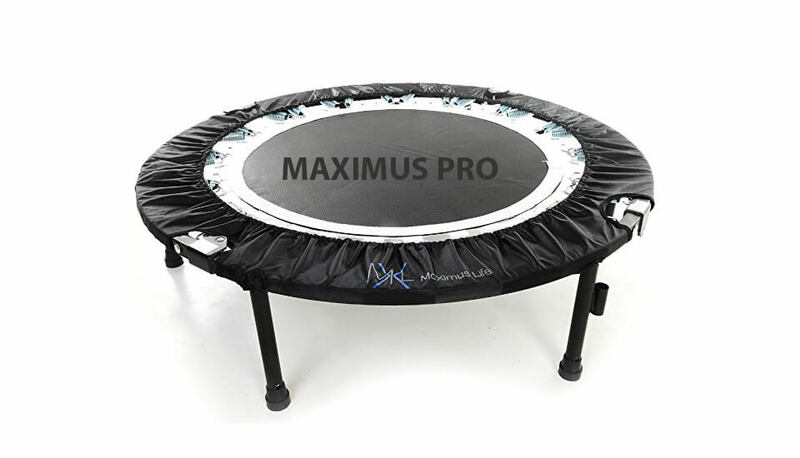 Very good trampoline which will provide everything you want from it - sturdiness, high quality, good bounce and hours of fun. Guaranteed!